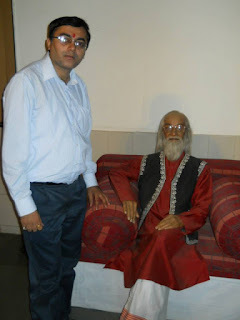 Welcome To The Blogs of Niilesh A Raje: Niilesh A Raje with historian, writer and theatre personality . . .
Niilesh A Raje with historian, writer and theatre personality . . .
With Babasaheb Purandare a historian, writer and theatre personality from Maharashtra. Known for his popular play on Shivaji Jaanta Raja . . .